Merchant, municipal official, MLA (1892-1895). Born at New York City on 4 September 1841, son of John Frame and Mary Findlay, originally of Glasgow, Scotland, cousin of G. F. Stephens. The family relocated to Simcoe County, Ontario, where Frame received his education in public schools, a private college at Williamsville, New York, and a business college at Poughkeepsie, New York. After leaving school he was engaged in the saw-mill business at Glencairn, continuing up to 1876, and during a portion of this time he was manager of the saw-mill. During the American Civil War, he served as a private for five months in the Collingwood Company, which was engaged in protecting the border against any possible raid. He moved to Winnipeg in 1880 then, in July 1882, to Virden where he became a member of the first municipal council. He formed a partnership with G. N. Miller, under the name of Frame & Miller, and engaged in the business of general hardware and lumber, the firm being one of the pioneers in the hardware business in western Canada. Frame served as Reeve of the Rural Municipality of Wallace from 1887 to 1891, when he was elected in July 1892 to represent the consistuency of Dennis in the provincial legislature. He was defeated in a re-election bid in 1896. 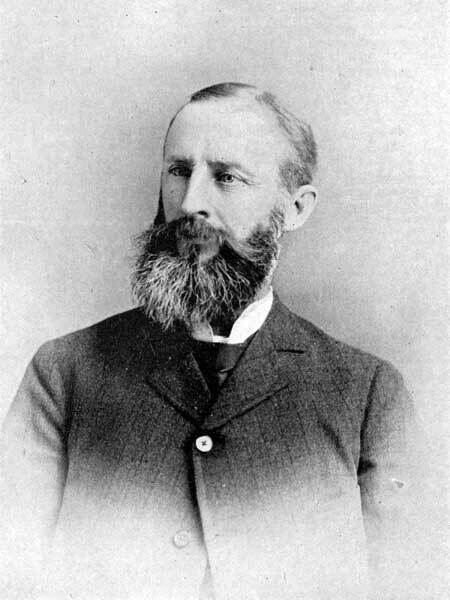 In 1888, he married Abbie Mary Layton, daughter of David Layton of Meaford, Ontario, with whom he had two sons and a daughter. One son, George Dawson Frame, died of typhoid fever in 1896 and the other, William Layton Frame, died of wounds suffered at Vimy Ridge in 1917. His daughter Eleanor Mary Frame married Burrows Sexsmith and raised two sons in Vancouver, BC. He retired to Vancouver, British Columbia in 1911 where he died on 28 September 1923. The family burial plot is in the Virden Cemetery. The Canadian Album : Men of Canada or Success by Example, Vol. III, Bradley, Garretson & Co., Brantford, ON, 1894. We thank Julia Boak, great-granddaughter of J. F. Frame, for providing additional information used here.